MOBIL 1 or MOTUL Engine Oil??? What? How is that in any way relevant/important to what OP is asking? have put about 15K miles on 09 cbr with Mobil 1....have 46k miles on bike from new. "Freezing"? ......never heard of it. Just stick with Mobil 1 if it seems to be working for you. No need to change it if it's doing the job. I've used GN4, then mobil 1, now castrol. I won't be using mobil 1 anymore, it didn't make shifting very nice and got darker quicker then the GN4 ever did. First time on the castrol now and it shifts so smooth. This is on my 74,000mile F4i. I've used Mobil1....15W-50 for the last 10 or more years with absolutely ZERO issues. I've used it in the following bikes. Draw your own conclusions, but never an issue with any of them. If it ain't fast........It ain't fun!! It has lots to do with politics since they are an oil company. 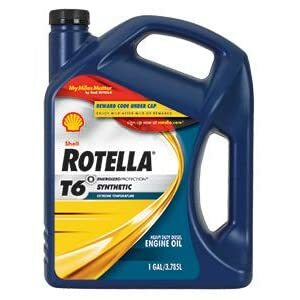 My affiliation is Shell Rotella T.
I used it for 40,000 miles in an RSV4, over 20,000 in a 1098S and in my track bikes. Using it today in an MV Agusta. Doesn't it say for diesel only haha. I use Silkolene Comp 4 10w-30. Is about $58/4L. The Rotella e.t.c. is $$$$ here in Australia. Thanks for the info guys, I'm a beginner alryt and just wanted to get a clear idea of what oil does a better job! I have no political affiliation so far @JohnDoubleR just wanted to get an opinion from the pros. Here in my country we have only limited options in choosing oil because there are only few people who use supersport bikes. So the choices are limited. Need an opinion cuz I'm planning to order engine oil through online. @tary preisser that's a relief I've never had an issue so far will see! @bored&strocked thanks for the tip bro, well I'm the 2nd owner and I have service tags under my rare seat cowl saying that they have used Castrol oil but eventually like I mentioned before when I changed the oil only option for me was to go for Mobil 1. Smooth shifting is a must, will consider on what you said when I'm buying. Thanks mate! @mran556 why so hatred from you man? Help out a junior will ya! Thanks for the great tips everyone. I'm pretty sure Rotella & Silkolene is not available in my country. I have to either choose between Mobil 1, Castrol and Motul. It's cheap and reliable... costes 37€ with filter included. Yeah heard Castrol Power 1 is better! Need to do an engine oil flush anyway. Last edited by BikerMonkey; 08-25-2015 at 10:17 AM. How about Repsol? My second choice beside the Shell Rotella is Motul. I used rotella for the last 3k miles, I like it. 10w-40 I believe. I did just switch to mobil 1 full synthetic 4T racing oil (specific to motorcycles) and I noticed it shifts smoother now than it did with rotella..
@dreamzboy we don't have repsol oil here in Sri Lanka. Anyways was able to change the oil to MOTUL 300V 4T FACTORY LINE 10W-40 ROAD RACING OIL - FULLY SYNTHETIC DOUBLE ESTER oil yesterday with a K&N oil filter. Man I have never felt such smoother gear transitions in my bike. I would seriously recommend that oil to anyone. Cleaned my air filter as well. Now the bike runs pretty good! Should definitely check on Rotella, cuz everyone suggests that oil. Thanks man. I ride motorcycles but sometimes I want to race 'em! Love motogp! Good choice. I typically ran OEM oil filter. K&N oil filter doesn't make much of a difference being it costs as much or more than OEM oil filter. The Honda oil filter costs me around $10-$11 a piece. 300v is an ester based oil; you are feeling the clutch smoot due to this but it will decade pretty fast 1-2k km. A full PAOIV oil with a good package of additive is far more reliable and consistent in street rather than ester based oil that are more for track and short changing interval. Motul is one of the best brands out there! Always noticed a drop in temperature with the oil pictured below. Everyone suggests Rotella because they're cheap. If Rotella users found out that their bikes ran "fine" with water, they'd be using water for a lubricant lol. Last edited by Polishblood; 11-16-2015 at 06:41 PM. If Rotella users found out that their bikes ran "fine" with water, they'd be using water for a lubricant lol. If water has all the ratings and lab test results equally of Rotella T, then I'll be the first to run water. If you're that concerned then shouldn't you run Repsol Oil? Does cilantro taste like soap to you or not?